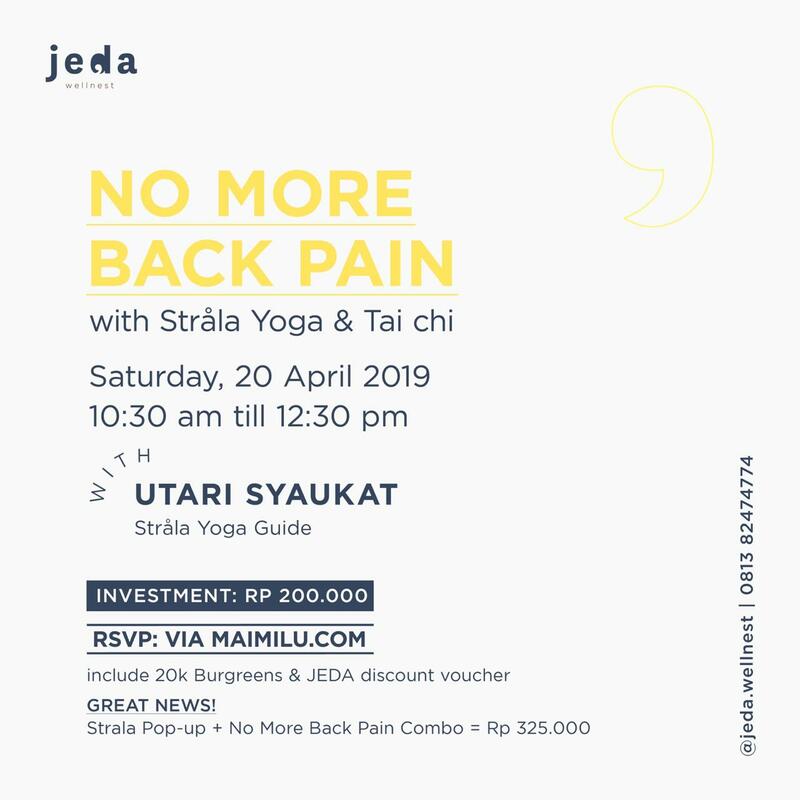 Let's join NO MORE BACK PAIN with Utari Syaukat! 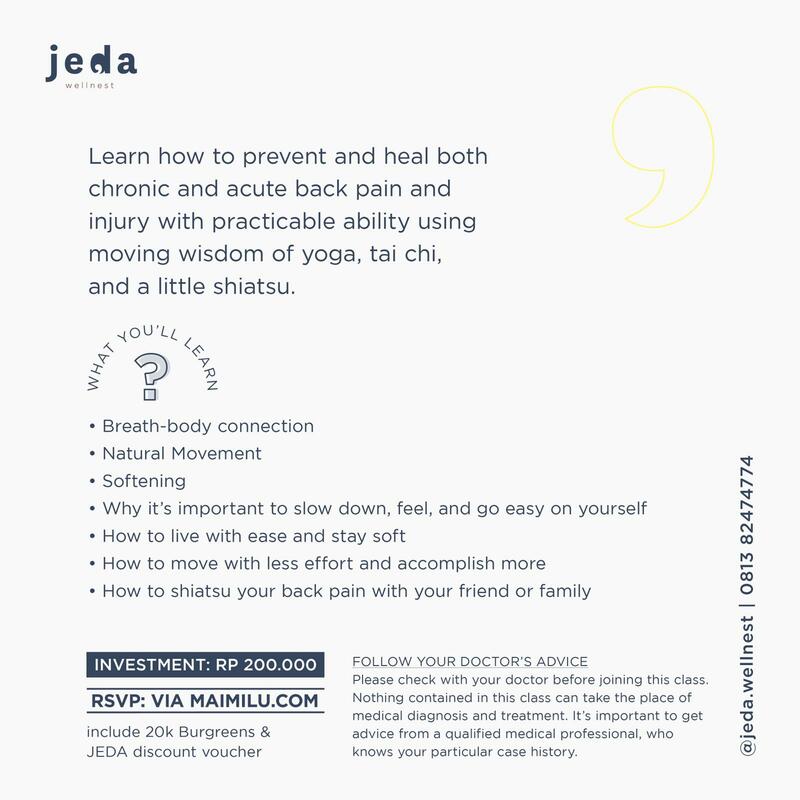 Learn how to prevent and heal both chronic and acute back pain and injury with practicable ability. 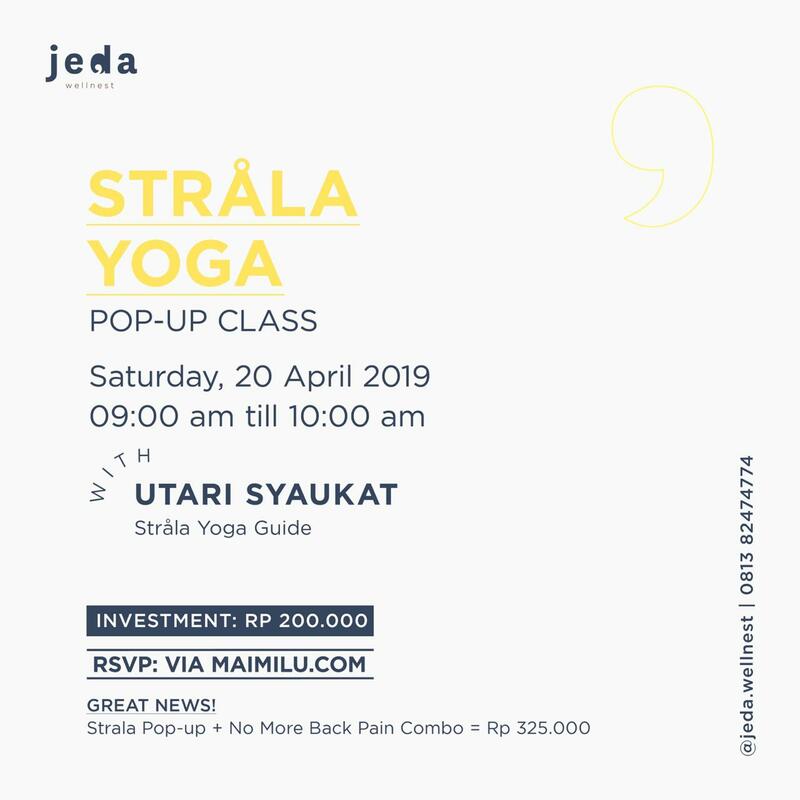 Before that there’s also Pop-up Class Stråla Yoga (9 am - 10 am) ONLY 200K!